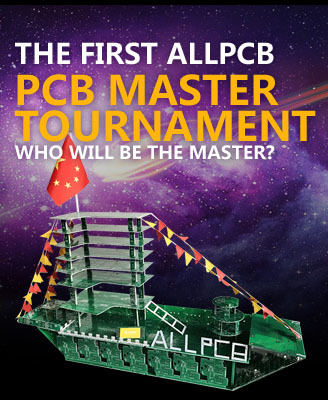 If you access and use the ALLPCB.com website, you must fully accept the terms and conditions herein and the announcements posted from time to time on the ALLPCB.com website without any modification, and comply with the relevant laws, regulations and rules relating to the Internet and/or this website. Your access and use of the ALLPCB.com website will be deemed as your agreement and acceptance all such terms, conditions and announcements. All the information about the members of ALLPCB.com or their contents on this website is provided by the relevant member themselves, and each member shall be solely liable for any information provided by themselves in accordance with relevant laws. ALLPCB.com shall not be liable in any way for the accuracy, completeness, legitimacy or authenticity of such information. Further, ALLPCB.com shall not be liable in any way for the risks of any business activities that use or provide such information on this website. Without the written consent of the legal rights owner, no one may display images on this website. Any unauthorized use of such images on this website may violate international law, trademark law, privacy law, communications law, telecommunications law and other laws and regulations. You may download the information displayed on this website, but such information shall only be used for personal study and research and must not be used for any commercial purpose. All such information is protected by copyright law, whether it is expressly stated on the information or not. You may not distribute, modify, disseminate, reuse, recirculate or use the contents of this website for any public commercial purpose without the express written consent of ALLPCB.com or the copyright owner of such contents. Any opinion expressed on this website is the personal view of the author only and does not represent the opinions of ALLPCB.com. The copyright of this website belongs to ALLPCB.com. All rights are protected by laws internationally. Unless otherwise marked or permitted to be used in such terms and rules of this website, all information available and accessible on this website is protected by intellectual property laws. “ALLPCB” and the logo or trademark of ALLPCB is the trademarks and trade names of the products and services of ALLPCB Company. All other trademarks and product names which ALLPCB claims no right may be the trademarks or registered trademarks of their respective owners. Without the written consent of ALLPCB.com or other third parties that are entitled to use the trademarks on this website, nothing on this website shall be construed as authorizing the use of any trademark displayed on this website. (2) The user shall bear all liabilities (including but not limited to, liability for negligence) for any loss or damage (including direct, indirect, special or consequential losses or damages, such as loss of revenue or profit, damage to the computer system or loss of data and other consequences) resulting from your use or use by any third party of the information on or linked to this website, or the information on other websites linked to this website due to any reason (including but not limited to negligence). By using this website, the user agrees to assume all the risks of browsing this website. ALLPCB.com shall not be liable in any way for any direct, incidental, consequential, indirect or pecuniary losses resulting from a user’s access to information on the website, as ALLPCB.com has not participated in the construction, production or development of this website or provided any contents.